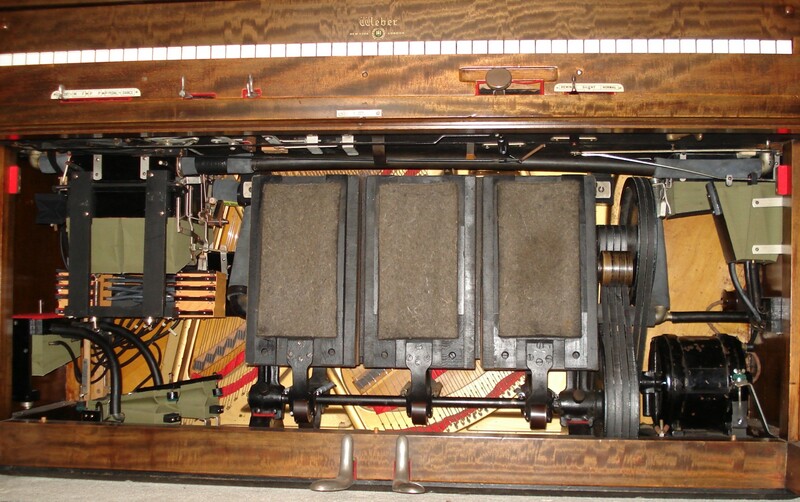 Pianolas are much more complicated than what can be seen from the outside, there are hundreds of moving parts hidden inside. All the pneumatics and bellows are covered in rubberised cloth, valves and gaskets are leather and tubing is also rubber or lead. 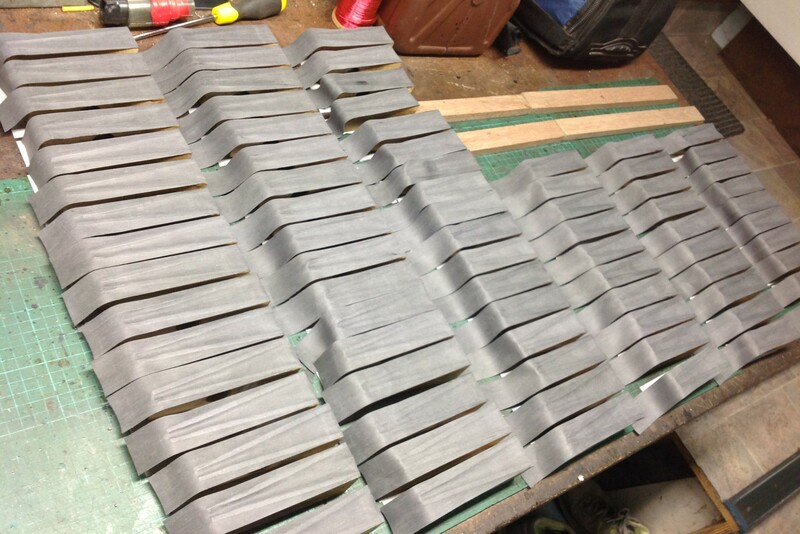 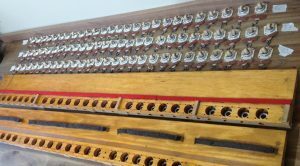 Most rubberised cloth parts have a lifespan of around 30 years and the bellows need to be recovered when they are old and rotten as they leak air and pedalling gets harder until it just does not work anymore. 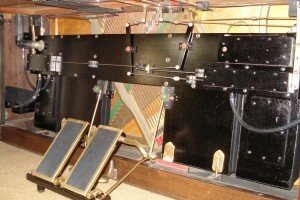 If Pianolas have been stored in damp areas or in sheds then corrosion of metal parts becomes a problem as well. 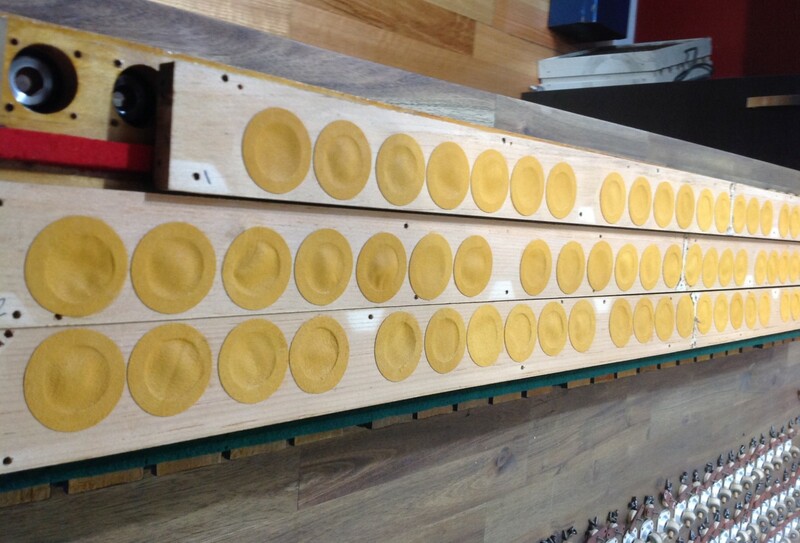 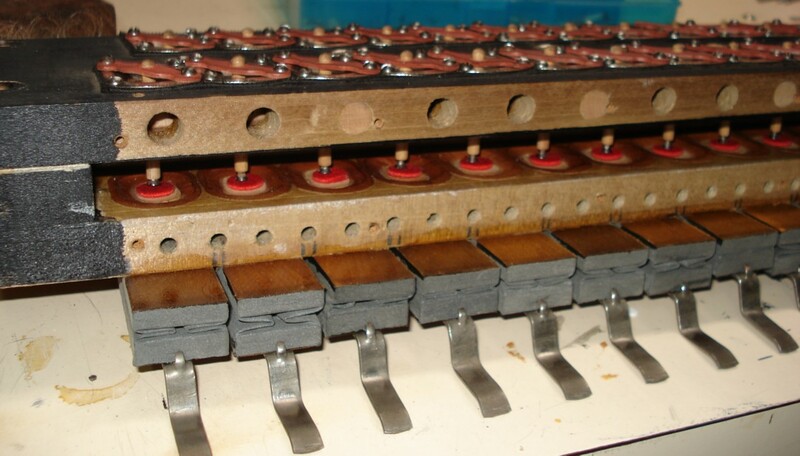 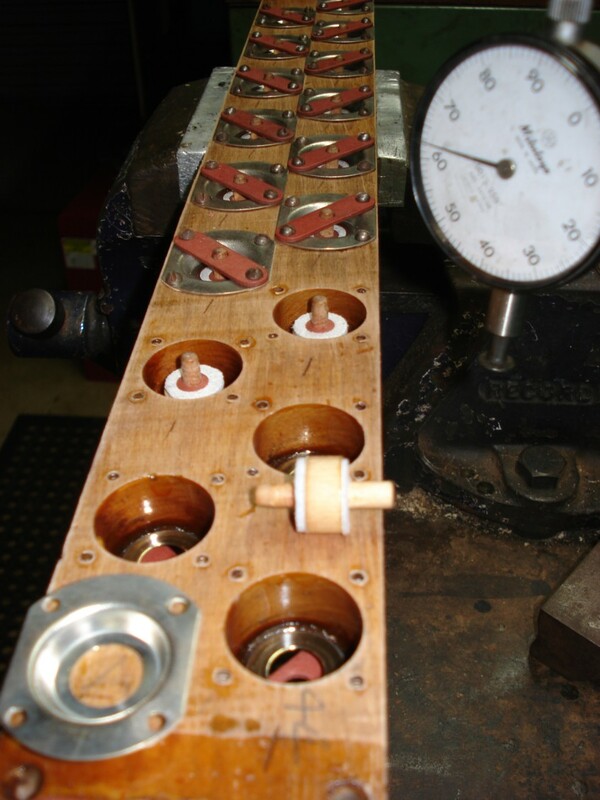 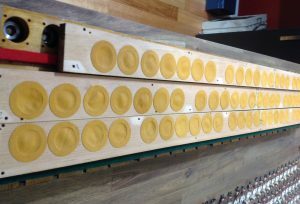 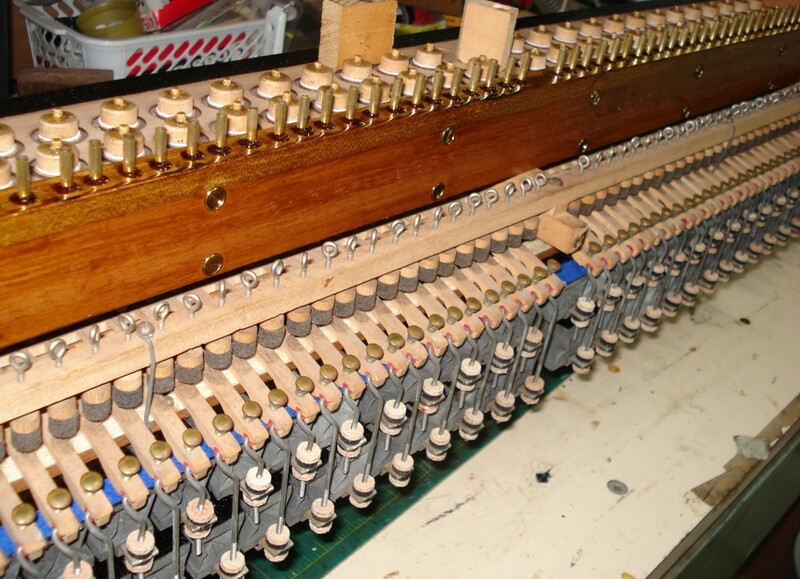 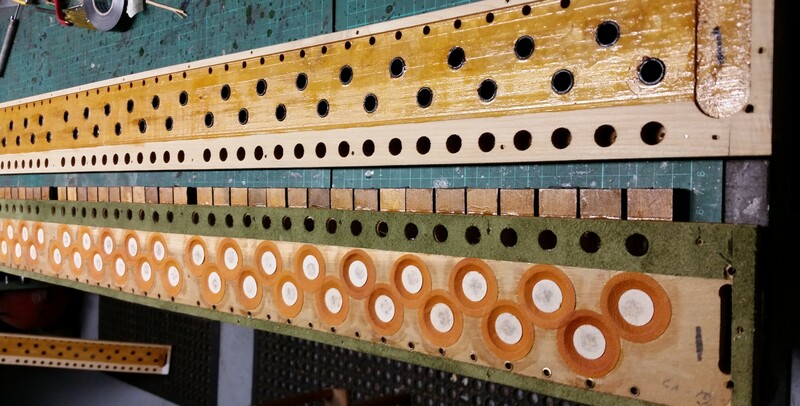 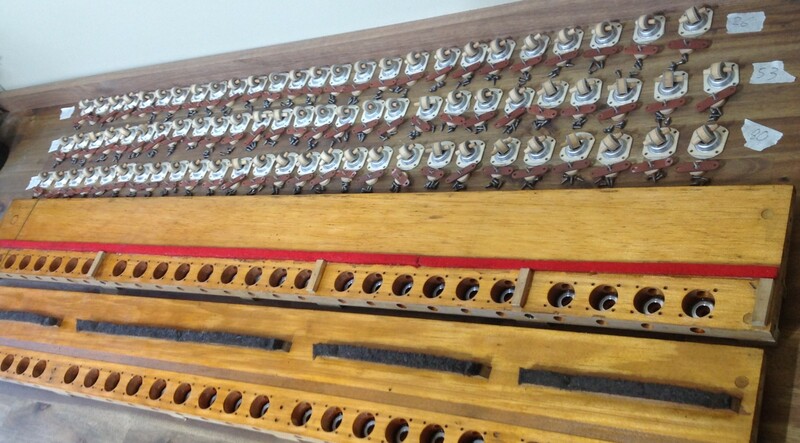 and a top action with 88 small pneumatics (bellows) which activate the piano keys. 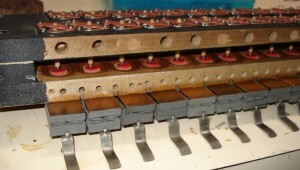 Each of these small key pneumatics is controlled by a valve (or two in a double valve type) which is activated by a hole in the roll as it passes over the tracker bar. 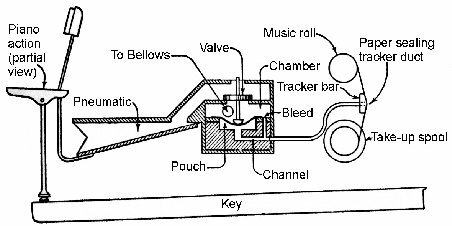 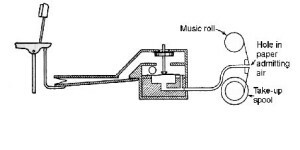 There is also a system of tracking to keep the roll aligned with the holes and an air powered motor to drive the roll via a gearbox, a governor to regulate the air motor speed regardless of pedal pressure, and often other pneumatic/valve units for sustain and soft hammer rail. 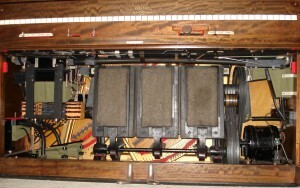 Standard action from a Concord showing primary valves above the secondary valve and pneumatic unit. 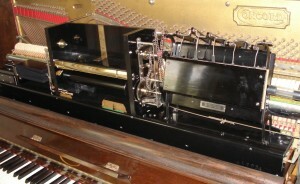 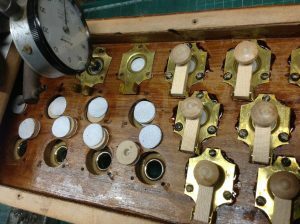 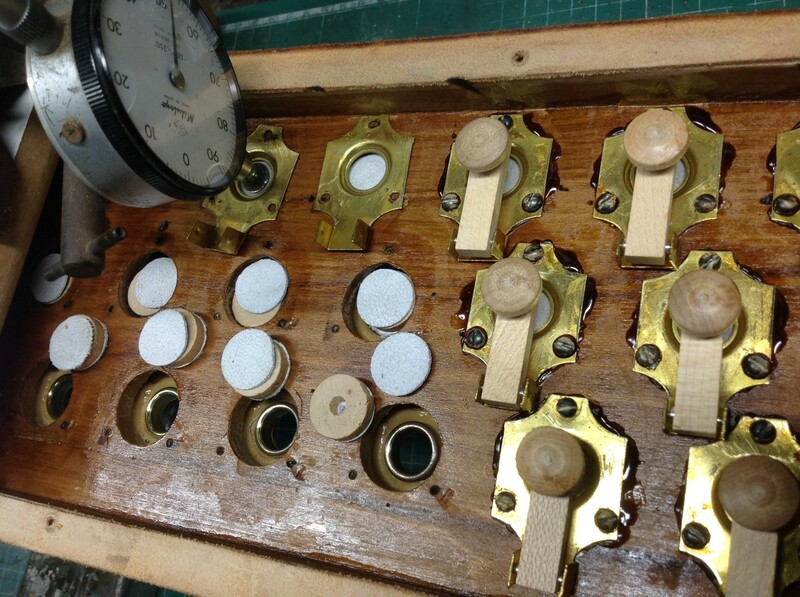 A more complicated electric pump driven Duo-Art Pianola.